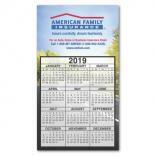 Promotional calendars and imprinted logo wall calendars are the third largest product category (after pens and shirts) in the promotional items industry. 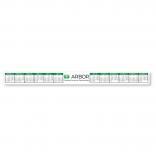 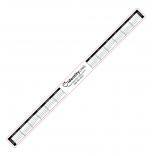 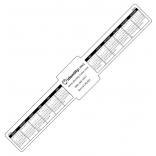 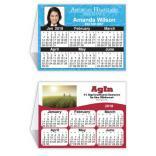 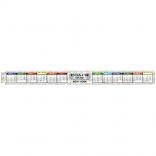 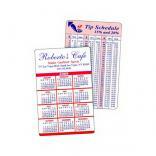 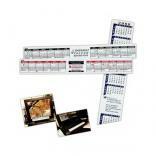 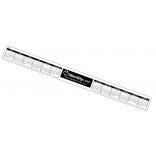 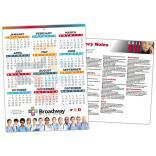 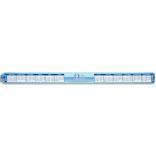 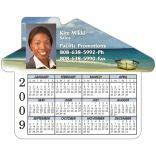 Custom imprinted calendars are available in a vast array of styles and formats. 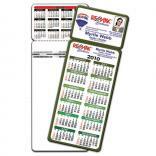 We carry a wide variety of custom wall calendars, promotional desk calendars, custom printed pocket planners, desk diaries, desk blotter calendars, pocket calendars and promo wallet cards. 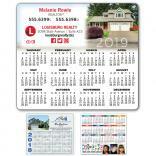 All of our promotional calendars include your custom printed logo or message, expertly printed in your choice of one color or multiple colors. 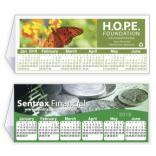 Our product line has grown to include religious calendars, magnetic calendars, fund raising calendars, computer monitor calendars, Spanish language logo calendars and even mousepad calendars. 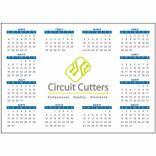 We've been supplying custom calendars to companies, organizations, schools, churches, and health care facilities for over 40 years, and look forward to do proving you. 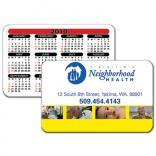 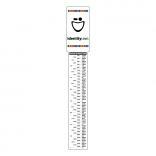 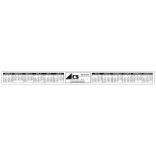 8.5" x 11" Laminated Card - 14 pt.